Product code: 571 Categories: Sold Items, Sold Rings. Here we have a wonderful 18ct white gold ring in the Art Deco style of the 1920’s. Set with a rectangular piece of onyx, set with a diamond, it has so much more sparkle due to the 26 diamonds surrounding it. 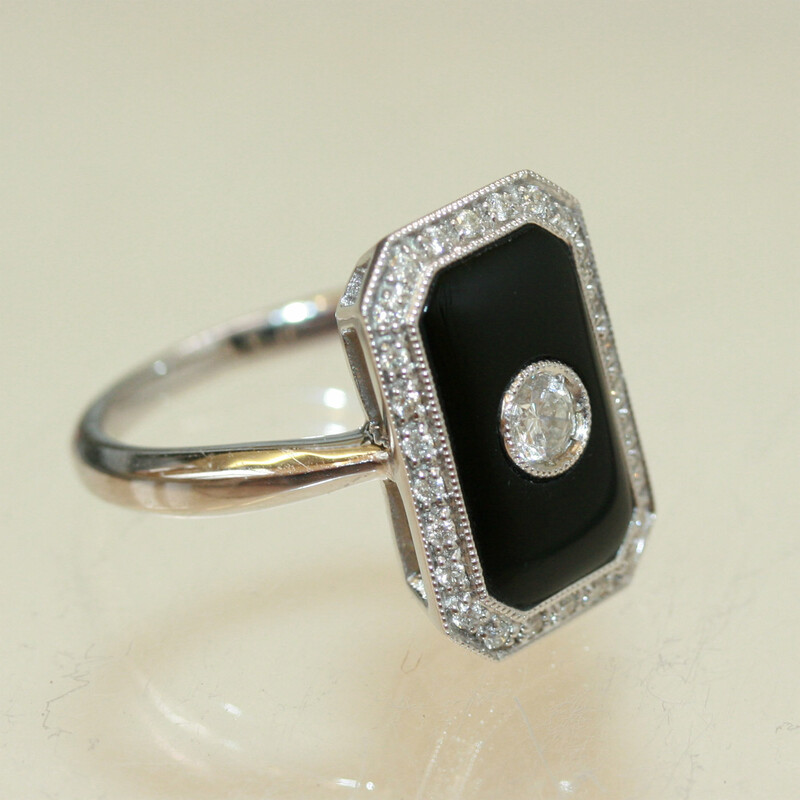 A wonderful combination of black and white in a ring that looks sensational!